With his passion for both color and cut, Ming loves a challenge and can create anything from classic beauty styles to the most up to date, current, edgy looks. Ming is OUIDAD Certified, a technique that involves cutting wet curly hair. He also offers the much sought after Deva Cut which is a dry cutting technique specifically designed for curly hair. One of the few to achieve these two levels of curly hair expertise, Ming and can provide you with the ultimate curl experience! If color is your thing, Ming also offers the exclusive L’Oreal Paris Professionnel iNOA ammonia-free permanent haircolor. Having been trained by some of the highest level educators including Clairol Professional, Logics, Wella, and Schwarzkoff Ming knows how to use color, cut and style to emphasize both complexion and dimension. 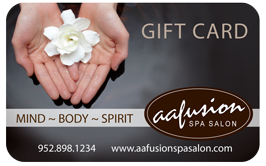 Successful hairstylist and salon owner, Ming Chu invites you to experience aafusion.